SAN FRANCISCO (Reuters) - Big internet companies and small software developers alike are likely to face scrutiny over how they share customer information in the wake of the scandal involving Facebook Inc and the British election consulting firm Cambridge Analytica. Lawmakers in the United States and the EU have called for probes into how Facebook allowed Cambridge Analytica to access data on 50 million users and use it to help the election campaign of President Donald Trump. Facebook shares have fallen 8.5 percent this week as investors fear the incident will lead to new regulation. The scrutiny and the risk of regulatory action could affect Alphabet Inc's Google, Twitter Inc , Uber Technologies Inc [UBER.UL], Microsoft Corp's LinkedIn and the many others that make their user data available to outside developers. "All companies are going to need to do a lot more than just laissez faire policy to manage third-party data access moving forward," said Jason Costa, who helped run APIs at Pinterest Inc, Twitter and Google and now works at GGV Capital. "The days of (the) 'we're just a platform and can't be held responsible for how users use it' line that many companies use, is no longer going to be tenable." The economic dynamic behind APIs is simple: software developers create new tools that benefit big tech companies' users, and in return they gain instant access to a large number of consumers. But software experts say policies are toothless because auditing is lax; Facebook CEO Mark Zuckerberg, under intense public pressure, said Wednesday the company would now perform audits of the information it shared with partners before it tightened rules in 2014. Dartmouth University engineering professor Geoffrey Parker, who has assigned students to develop apps based on APIs, said automated policing methods will detect spam-like apps and brazen efforts to steal data. It is much more difficult to enforce bans on storing or mashing together information, or acting against users' interest, he said. Some companies added safeguards in the last several years. 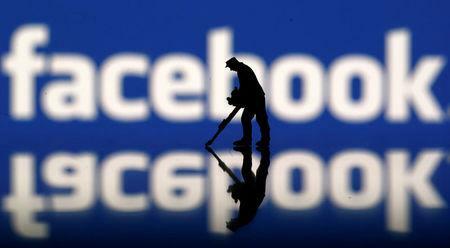 Facebook stopped allowing developers access to information on its users' friends. But compliance audits were minimal, a former employee said on the condition of anonymity. For paid deals, LinkedIn said "partners are rigorously vetted and regularly declined." The company added that it regularly monitors API usage and takes "swift action when we see or hear of any abuse of our terms." "It's hard to police if the alarms aren't being sounded," said Blank, who has worked with APIs from LinkedIn and Google. Alex Moore, chief executive of Baydin Inc, which develops Boomerang, an app that can send emails on time-delay, said Microsoft scrutinized his services when the companies partnered on a new feature. But he was not aware of any auditing after it launched. Google recently asked whether Boomerang could access less information, but that was a rare "poke," Moore said. "There's going to be things people took for granted about data sharing that come to light," he said. Paul Nerger, senior vice president at Developerprogram.com, which helps companies such as Cisco Systems Inc manage APIs, said clients have limited the number of partners so that software can be tested "to make sure they are not illegally harvesting" data. Startups are taking heed too. Affectiva, which last year released an API for identifying consumers' emotional states from speech samples, said that it would audit partners as its program grows. Gabi Zijderveld, the company's chief marketing officer and head of product strategy, said, though, "we inevitably need regulation and legislation on ethical and transparent use of data."